Following the catastrophic effects of Fukushima, now millions of Salmon are missing from the pacific ocean and are presumed dead. 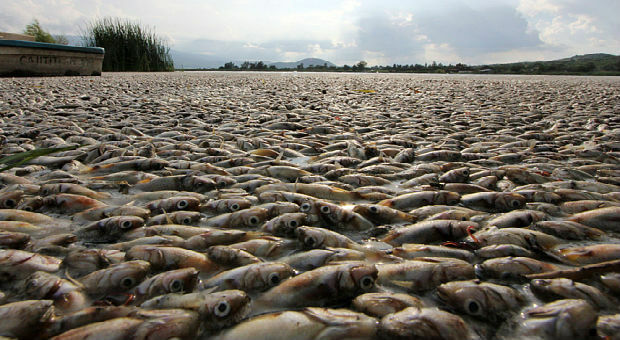 Fears that ocean food chain has been damaged to the point that sea life could die off as a result. New data from the California Department of Fish and Wildlife have now found that Salmon numbers have dropped dramatically from the Sacramento River. Mendocino Beacon: Returns of spawning Klamath River fall Chinook are projected to be the lowest on record in 2017... “The salmon runs this year will present a challenge for ocean fishermen and managers throughout the West Coast,” said Executive Director Chuck Tracy... “the low forecast for Klamath River fall Chinook is unprecedented”... “This year will be an exceptionally difficult year for ocean salmon fisheries, especially in Oregon and California”... said Council Chair Herb Pollard.